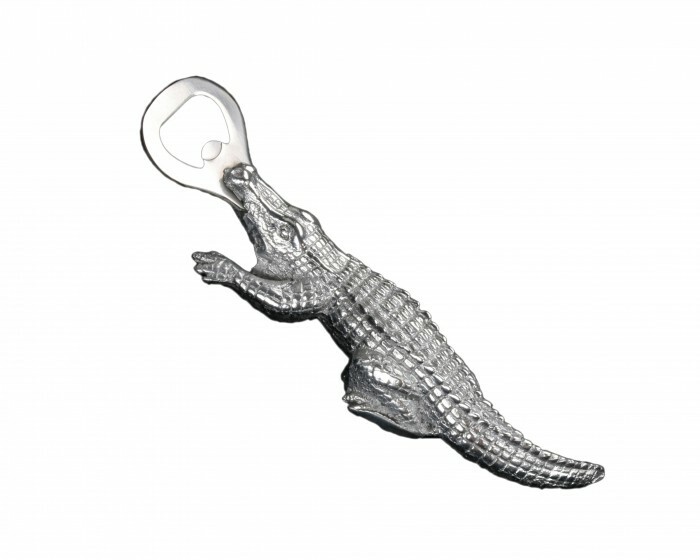 Arthur Court's wonderfully detailed Alligator Bottle Opener is ready to clamp down on any beverage. This intricately detailed Alligator shows off its scaly skin as it grasps onto the opener with its jaws. Sand casted and handmade in aluminum, this piece looks great on the counter and even better as a gift! Size: Length: 7.0" / Width: 2.0"